The Complete Works of William Shakespeare – all 37 plays in 97 minutes! This irreverent, fast-paced romp through the Bard’s plays was London’s longest-running comedy. 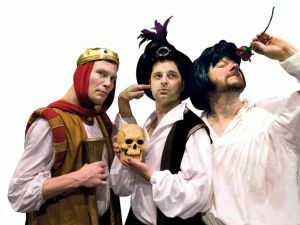 Join these madcap men in tights as they weave their wicked way through all of Shakespeare’s Comedies, Histories and Tragedies in one wild ride that will leave you breathless and helpless with laughter. The event takes place at the Theatre by the Lake, just a short drive from the Lodore Falls, Skiddaw, and Kings Arms hotels. To book in one of our hotels please call 0800 840 1240.